We frequently ask on the show how the Religious Right can reconcile its purported beliefs with its unwavering support for Donald Trump. The most frequent answer is that they’re just in it for the power. But what if it goes deeper than that? 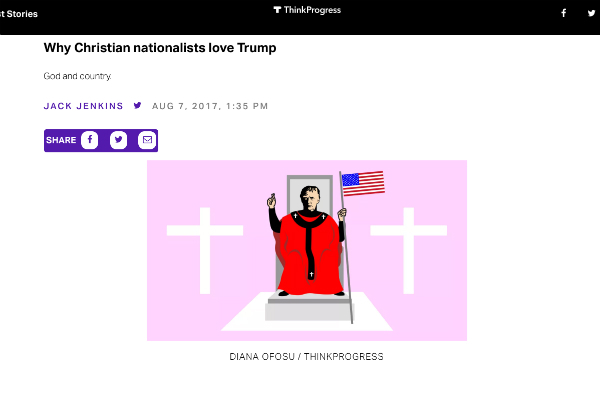 ThinkProgress Senior Religion Writer Jack Jenkins has authored a series of articles exploring Christian Nationalism in the age of Trump, and he’ll be on the show to share his findings. Hear the full September 9, 2017 State of Belief Radio program here.